Journalist Chris McGowan has covered Brazilian music for Billboard magazine, The Huffington Post, and his own The Brazilian Sound blog, and co-authored multiple editions of the definitive reference book on the subject—The Brazilian Sound: Samba, Bossa Nova and the Popular Music of Brazil. Along the way, he has interviewed many of the most important and influential legends of Brazilian music. Here are revealing conversations with iconic figures in Brazilian music such as Antonio Carlos Jobim, Carlos Lyra, Milton Nascimento, Airto Moreira, Dori Caymmi, Laurindo Almeida, Antonio Adolfo, Djavan, Ivan Lins, Gilberto Gil, Gal Costa, Cristina Braga, Jovino Santos Neto, Luciana Souza and Lenine. A Kindle edition (readable on iPad, Galaxy, PCs and Macs with the free kindle app) is available now; a paperback version will be available soon. 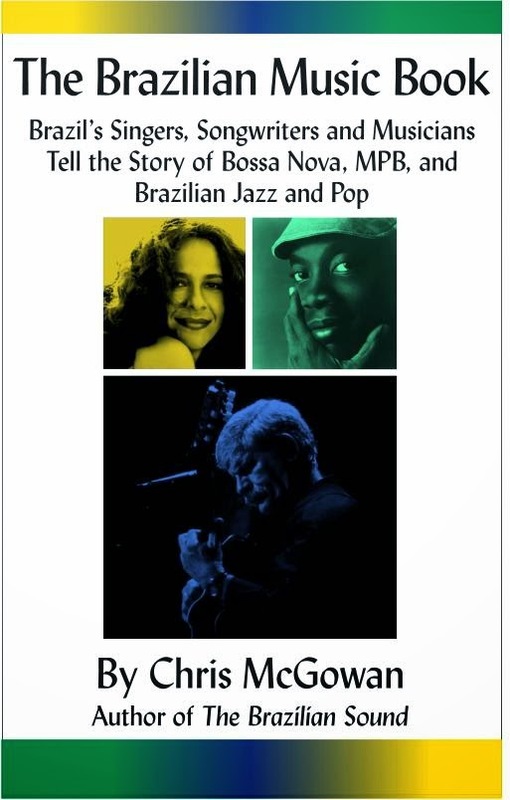 The Brazilian Music Book by Chris McGowan is an involving work thanks to the insight of the author, his integrity and his deep love for Brazilian music. It is a book destined for success and I hope to see it translated into Portuguese as soon as possible. "—Turibio Santos, classical guitarist and artistic director of the Vale do Café music festival. I'm the author of two books on Brazilian music (Temple University Press) and one on interactive media (Random House), and write about about tech, media, music and environmental issues. I have been published in VFX Voice, the Huffington Post, the Los Angeles Times, Billboard, Musician, Los Angeles magazine, and many other publications. I can be reached at the email here and at LinkedIn: https://www.linkedin.com/in/chrismcgowan.